A colourful & fun place is what I call Dhaba by Claridges! Opened in November 2013 in Saket with all the signature dishes and quality ingredients, this unique dining experience comes straight from The Claridges. A dhaba which is light, fun, crazy, out of the box & lively where people prefer to hang out with friends & family with their liquors & tharras which came in pauva bottles, a complete theka experience! 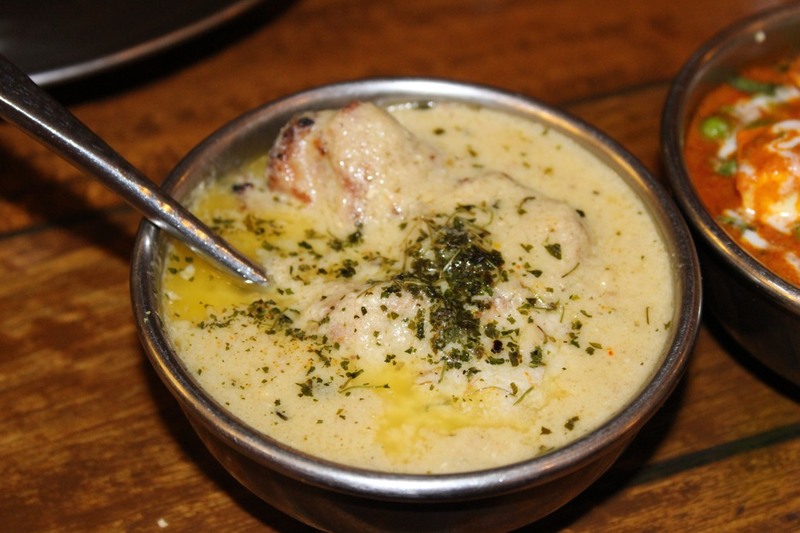 The menu at Dhaba By Claridges is divided into 3 parts- Tawa, Tandoor & Patila curated by the chef on board Ravi Saxena, the delicacies equaling five star hotels & dishes like Kanastari Baingan, Tiffin Chicken, Balti meat, their unique Dhaba ki Roti or Phirni. 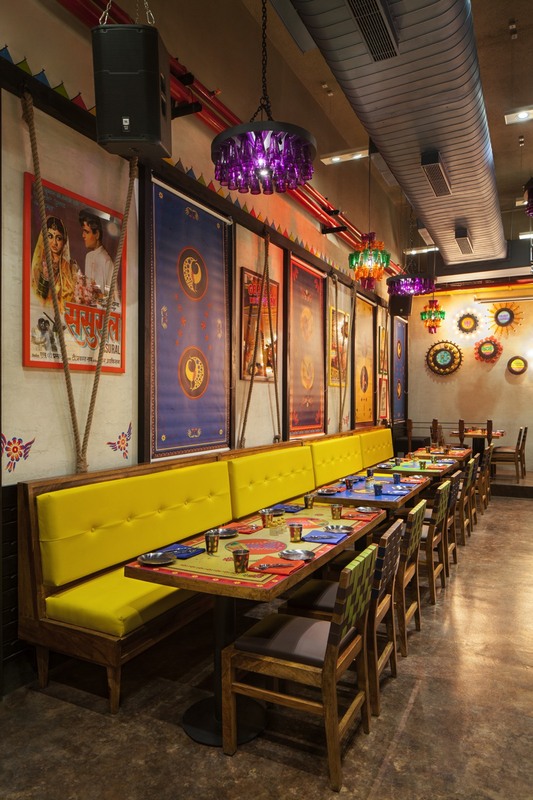 Ofcourse don’t miss the Paan station outside and elements like nalka chandeliers, nimbu-mirchi lights, vintage Bollywood posters, truck elements- all rustic & unique interiors lending a more colourful & lively experience to the whole dining charm. Sometimes there are Chef’s special days where lots of new things are added in the menu according to customer response. The Saket outlet which I visited is a 110 seater restaurant with branches in DLF Cyberhub and Epicuria in Nehru Place. They have recently opened up in Hyderabad too and opening soon in Chennai & Bangalore. Their main aim being to get the Claridges feel in a Dhaba with authentic Punjabi food & drinks like Ganne Ka Ras and Somras and to serve fresh food & refreshing cocktails to the guests making them chill & relax in a fun quirky way. 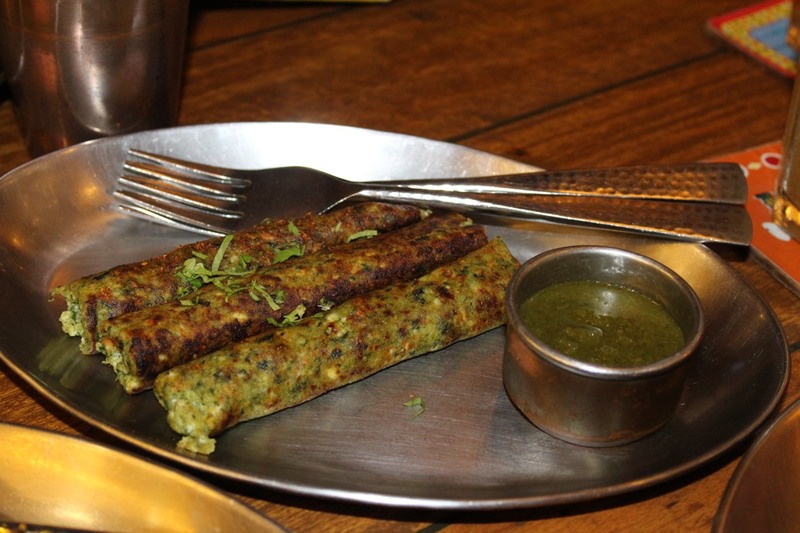 We started off with Veg Galouti Kebabs flavoured with cinnamon & black cardamom. It was spicy, warm & nice. The flavours came out well and the melt-in-the-mouth texture was perfect. Next we tried the Palak Paneer Ki Sheekh- cottage cheese & spinach blended together with home-made spices and cooked in tandoor. They were really soft & yummy and we loved this interesting version of palak paneer. 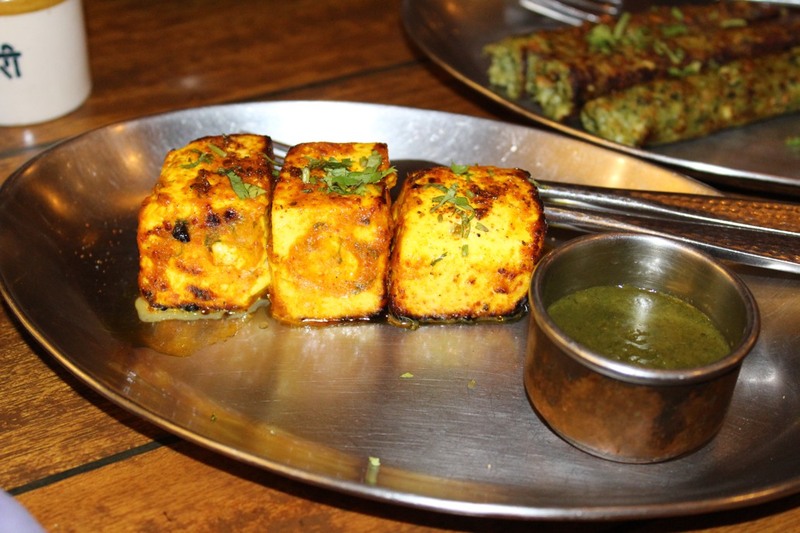 The Dhaba Paneer Tikka- mildly spiced chunks of cottage cheese flavoured with saffron was very soft & delicious. Loved it! The Dhaba Murgh Roast- soft juicy chicken with bone marinated with hung curd with a smokey flavour of ginger & garlic was ripe, mildly spiced, tasty & juicy! 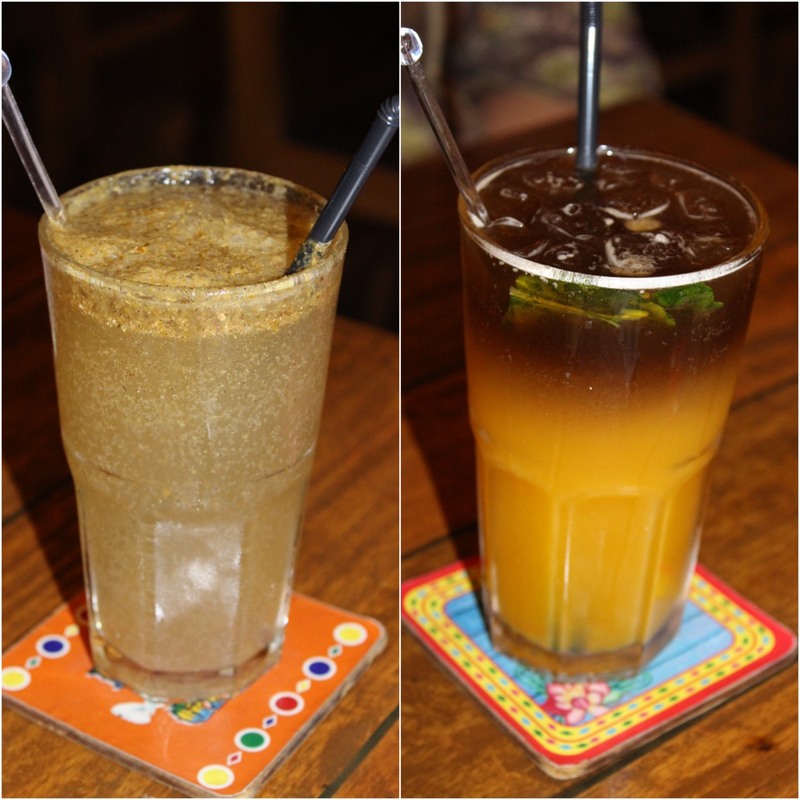 In the mocktails, we tried Shikanji which was refreshing, masaledaar & desi. Rangeela- another mocktail with kaffir lime & passion fruit that we tried was equally refreshing & energizing and the kaffir lime enhanced the flavour of the drink. 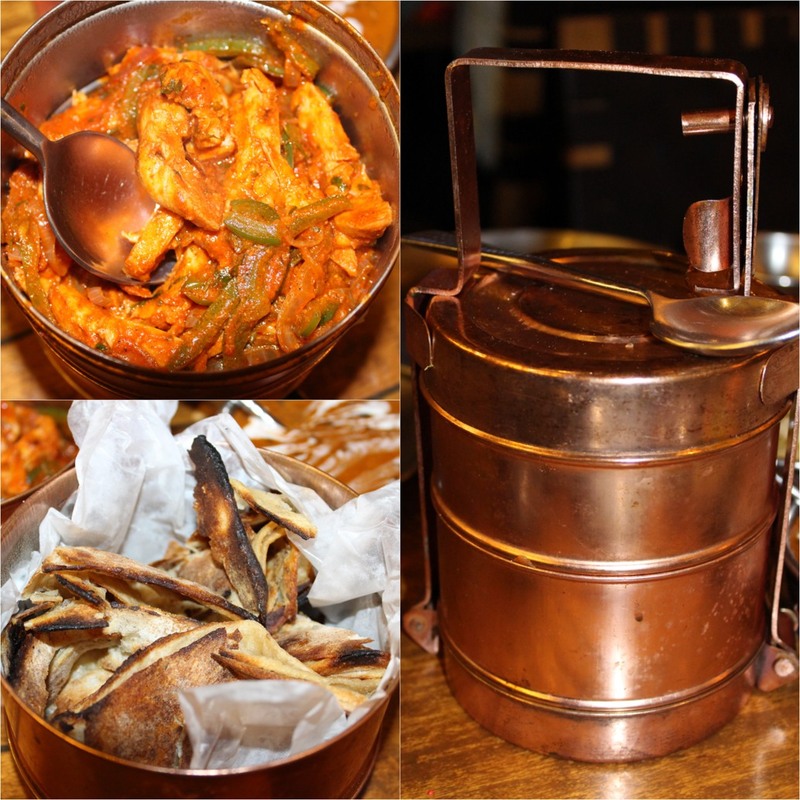 For the main course we tried Tiffin chicken- home-style chicken served in two tiered tiffin with ajwaini parantha. 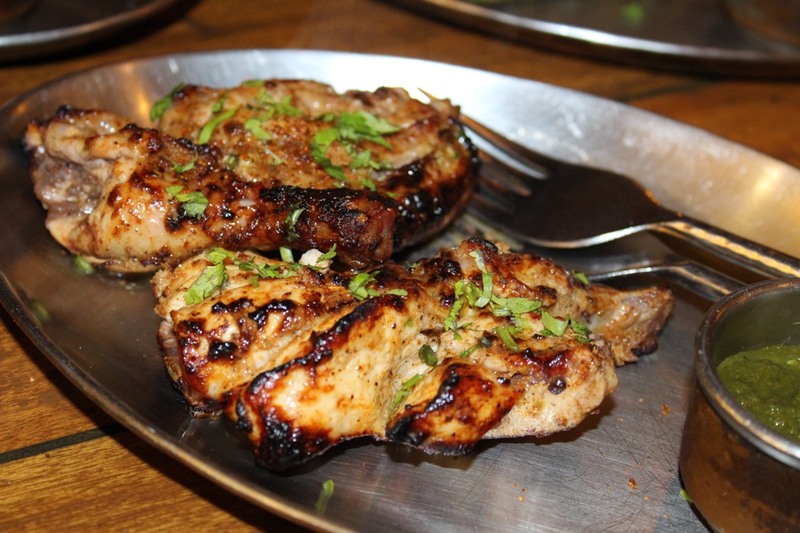 The boneless strips of the juicy chicken were ripe, fleshy, fresh & tasty. Must try this- it is a treat to the tastebuds! 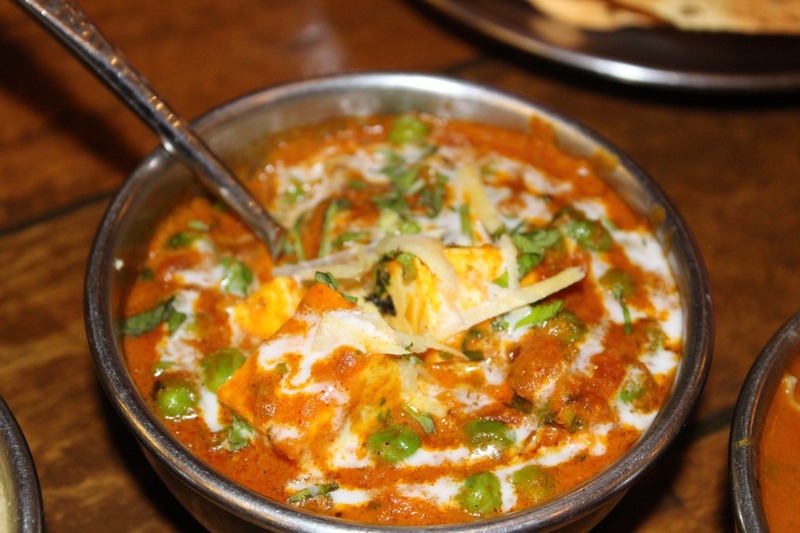 The Matar Paneer-a mix of fresh cottage cheese & peas with spices and onion tomato curry tasted fine & spicy though a bit oily. Not a big fan of this so will give it a miss. 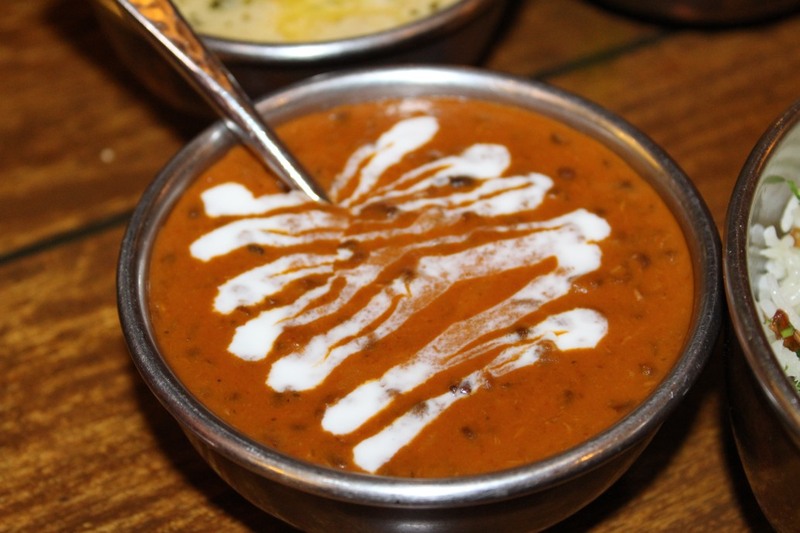 The classic Dal Dhaba- soaked overnight & slow cooked was creamy with nice texture & taste. 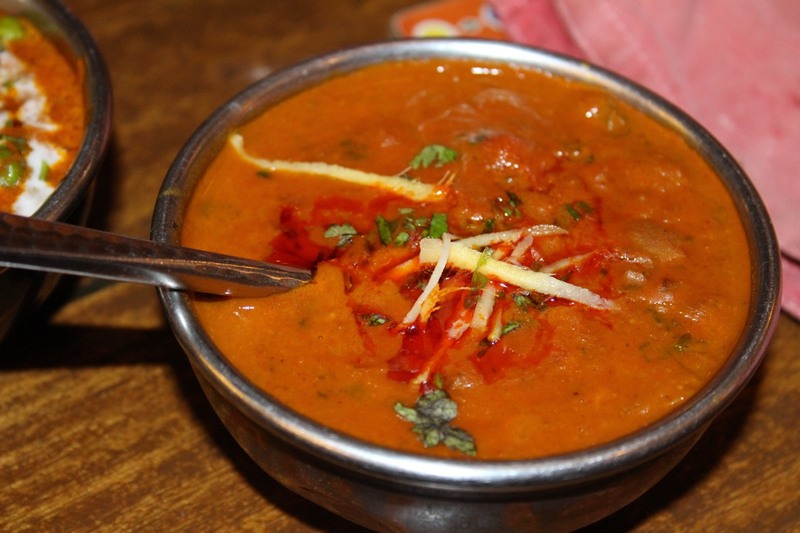 The Rajmah were delectable cooked with Dhaba spices, onions & tomatoes. 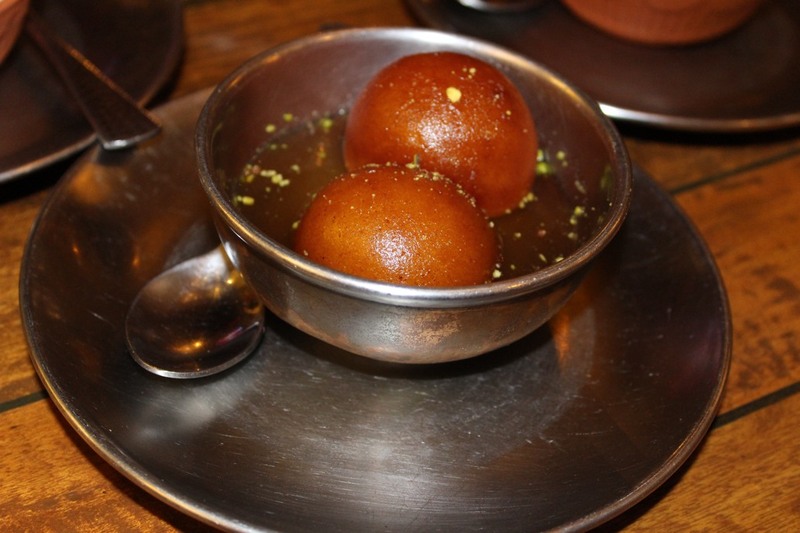 A lot of places in Delhi spoil this simple dish but I loved it here. 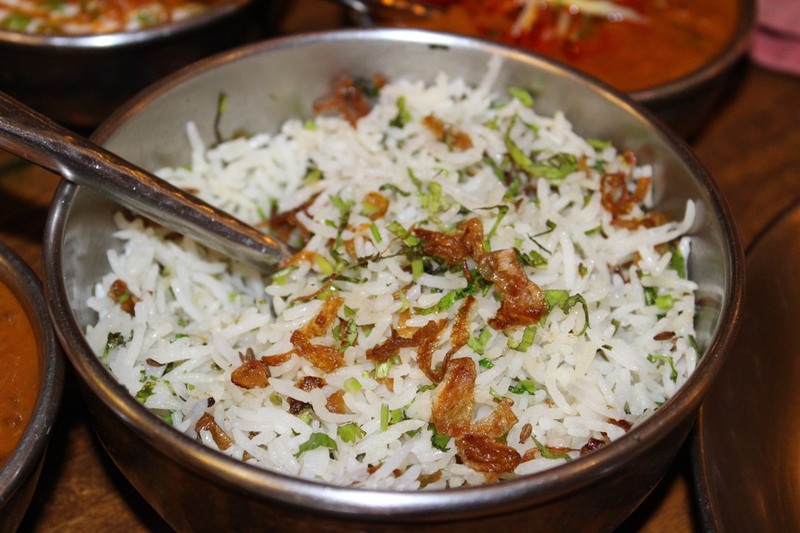 I paired it with the Jeera Dhania Pulao- the aromatic basmati rice layered with fresh dhania, florets & brown onions and couldn’t have asked for anything more. 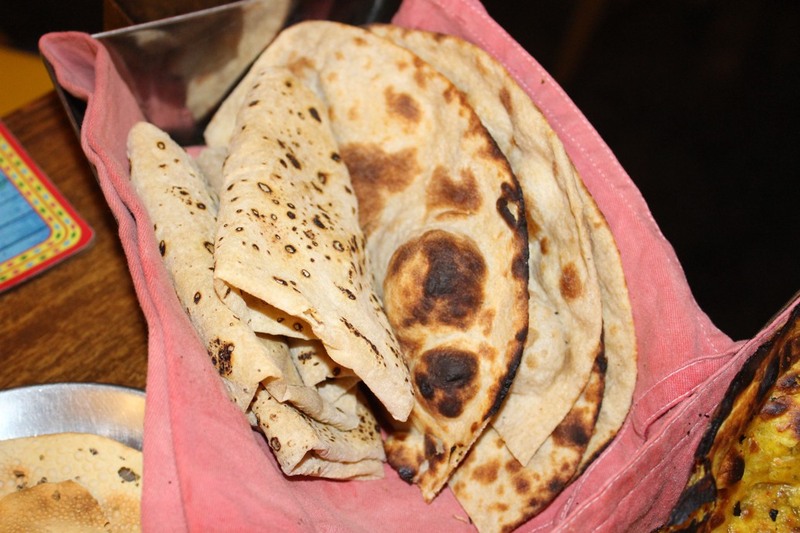 In the breads, we tried Tandoori Roti, Roomali Roti, Dhaba Ki Roti and Missi Tandoori Parantha all of which were all fresh & lovely layered with softness & love. Coming to my favourite part- desserts! 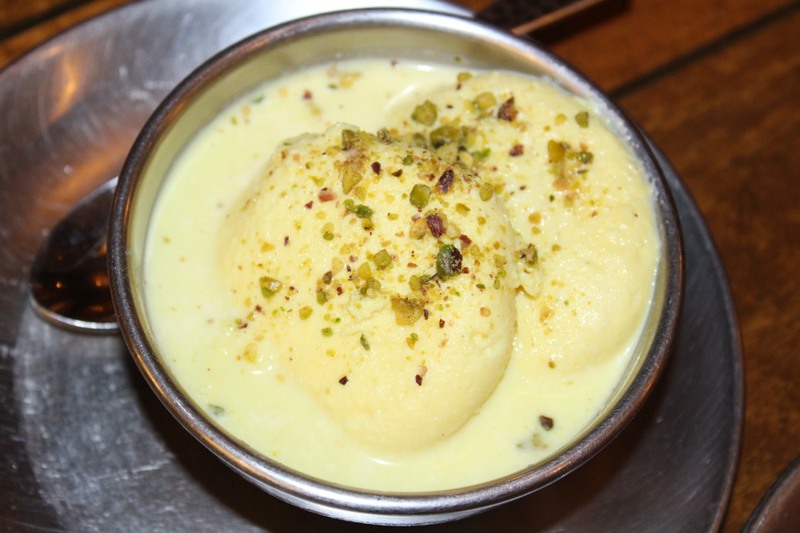 First we tried the Rasmalai which I loved & relished. I had it after such a long time and so glad I wasn’t disappointed. 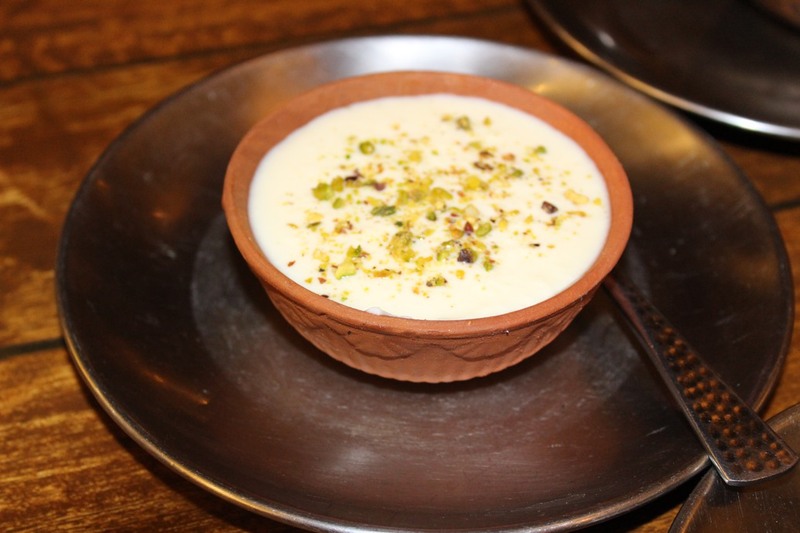 The Rabri was perfect in texture and taste with pistachios in it. 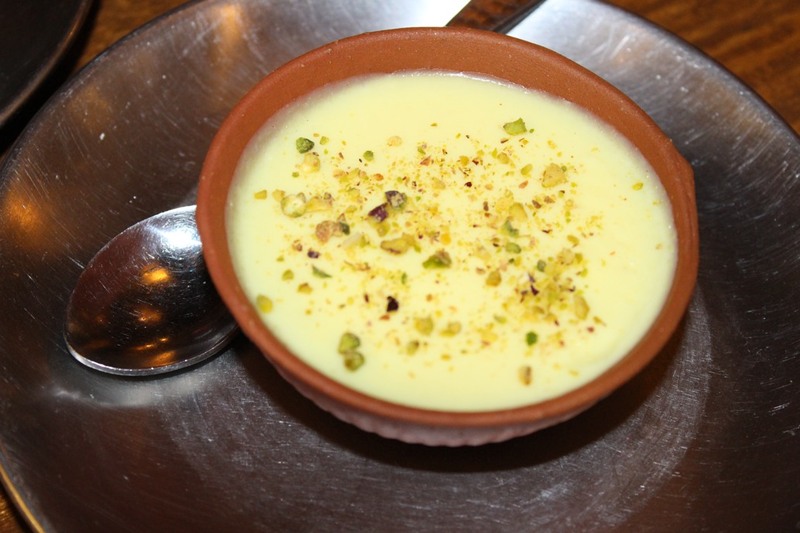 The Phirni & Gulab Jamun were good too. I loved the food here- full of Dhaba flavours. They also customize party packages and offer beer at some really low prices on certain days. But once you come here, you are sure to love the colourful set up and you feel warm & most welcomed as they serve you with lots of love & friendliness and you would love to come back to try more things on the menu as it’s a great place to be when you want good food, music & most important the taste of 30 years from Claridges.